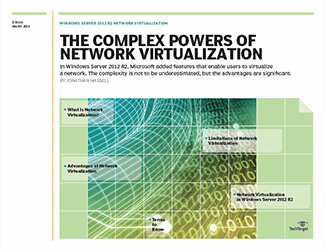 Features in Microsoft Windows Server 2012 R2 allow for network virtualization. 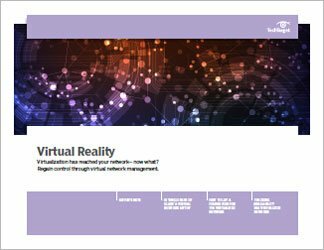 While a complex undertaking, a virtualized network can deliver efficiencies not otherwise possible. Microsoft is making network virtualization a built-in feature in Windows Server 2012 R2, allowing users to virtualize even large networks. The idea is that with network virtualization an enterprise can automate network provisioning and better integrate network resources into overall IT operations. Do those purported benefits stand up to scrutiny? 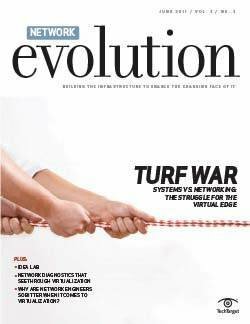 And in which situations is network virtualization worth the trouble that implementation would entail? 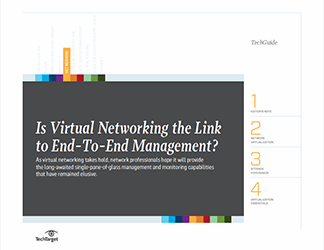 Is virtual networking the link to end-to-end management?